Two years ago, in a London restaurant, I had my first encounter with Sarget de Gruaud-Larose which is the second wine of Château Gruaud-Larose in Saint-Julien. It was a 1997, so not a spectacular vintage and already more than 10 years old and still, I was more than impressed by its quality. It felt like the perfectly aged bottle of Bordeaux with perfect balance and so much elegance: fruit, coconut, chocolate, melted tannins, good weight. Of course I first have to credit the sommelier for pulling out such a wonderful bottle. That’s what sommeliers are for you will tell me, but such things still happen on too few occasions in my opinion. But the second thought that crossed my mind was that these second wines are much better than their reputation. 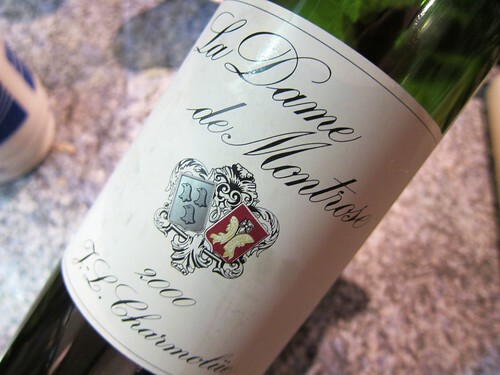 And if such a wine from a weaker vintage impresses me so much, there must be tons of hidden treasures out there. So many Crus and Châteaux’ in Bordeaux, so many second wines! And what about the second wines of great vintages? They must be freaking awesome! The other night 2 friends and I were out in Frankfurt and after dinner we still craved some red wine. We decided to hit Heimat wine bar where, from my experience, you’ll always find a suitable bottle. 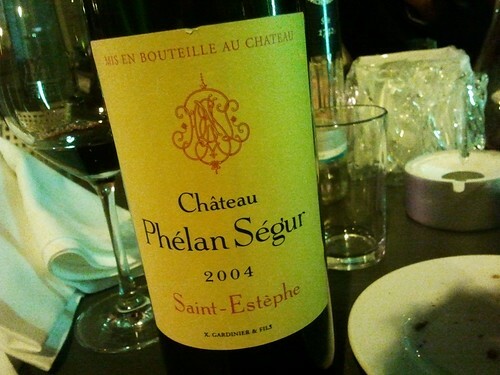 After some thinking we picked a 2004 Château Phélan Ségur from St. Estèphe on the left bank of the Gironde since I also was quite curious about that vintage which doesn’t have a particular aura attached to it. What does this mean? Of course: a classic vintage!